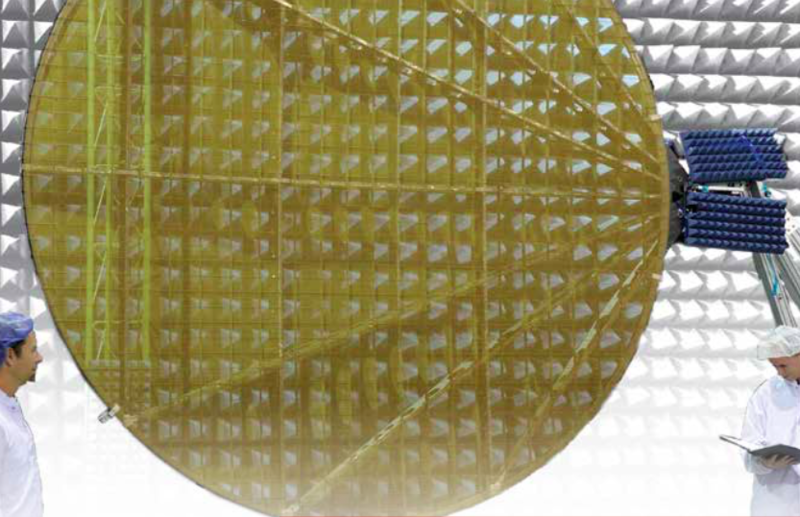 To meet the increasing demand for higher bandwidth, improved performance, and better spectral efficiency for satellite operators, Harris has developed the fixed-mesh reflector (FMR) as a lightweight alternative to conventional solid reflectors—without losing any of the desired RF performance. 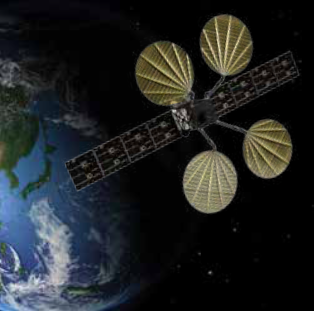 With over 50 years of experience in space antenna solutions, Harris is recognized as the most experienced reflector manufacturer in the world. Due to our ongoing research and development program, Harris customers get the most innovative, accurate, and stable reflectors on the market. Our FMRs are an innovative hybrid design that combines the high-frequency mesh surface technology of Harris’ legacy unfurlable antennas with a fixed graphite frame. Together, they provide an effective solution for high-throughput satellites, which demand larger apertures and smaller spot beams than currently possible with solid reflectors. Unlike solid reflectors, the FMR has a mesh surface that offers significant improvements in shadowing reduction, solar torque, and acoustic load, which enables additional mass reductions in spacecraft support and interface structures.